Y'all know I love a good family recipe. Things that get passed down are great. In fact, I have many family heirlooms in my kitchen, but things can get broken or lost. A recipe lives on throughout generations. 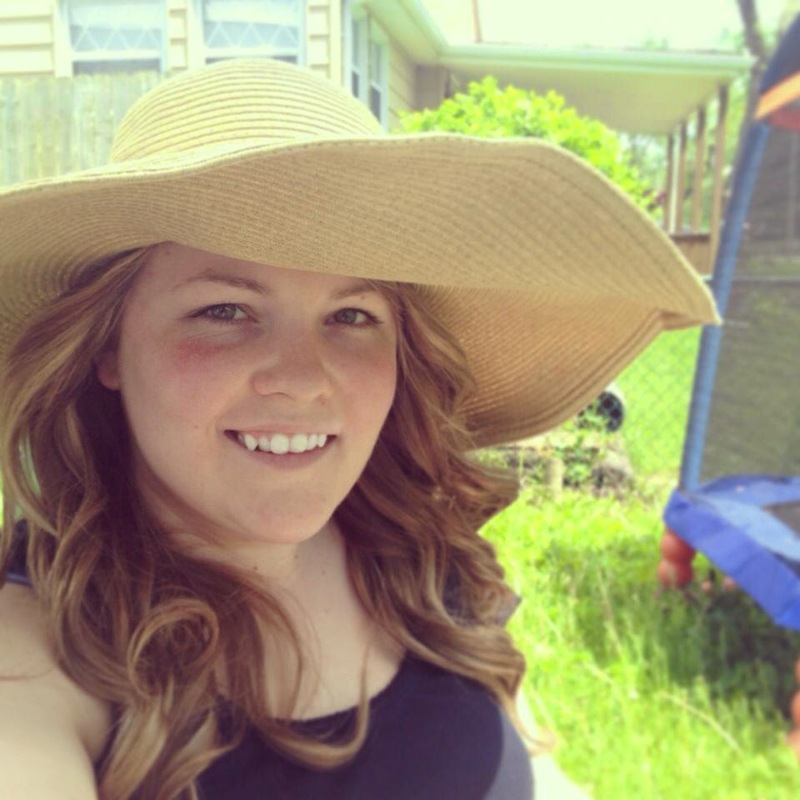 Tomie is not only a FANTASTIC mamma to two of my adorable nephews, but she is one of the most beautiful, talented, & free-spirited people that I know! She is the first to celebrate with you, laugh with you, cry with you. She is truly one of my best friends and I love her so much. It is so very special to me and I can't wait to share it with you! When my sister makes this dish she uses 2 cans of cream of chicken soup. I, however, like to try and make as much from scratch as I can. Therefore I made a chicken gravy. To begin you will want to place a sauce pot over medium high heat and add a half a stick of butter. To the butter, add a 1/2 c. of flour. Whisk together and let the flour cook 1-2 minutes. Add 4 c. of warm chicken stock while whisking. Bring to a boil. Lower to a simmer and let simmer until the gravy thickens, about 5 minutes. 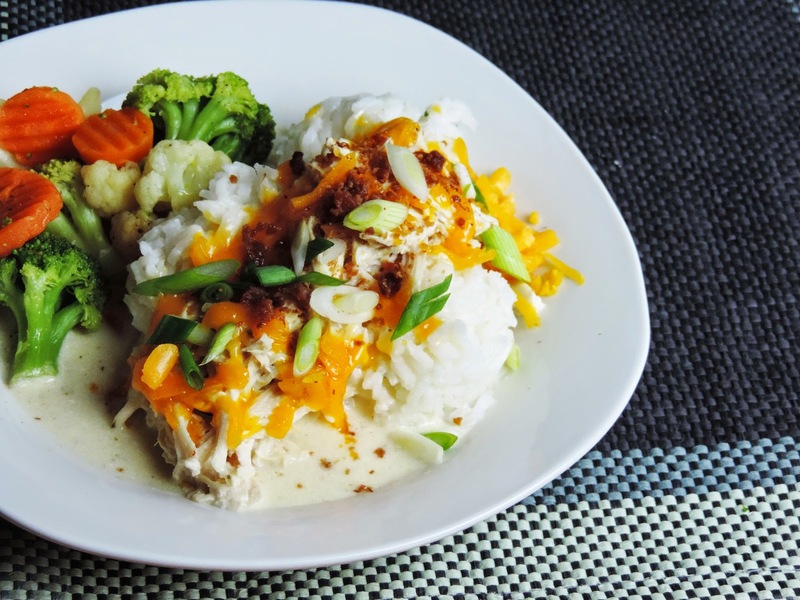 To your slow-cooker add the cream cheese. Pour the gravy over the cream cheese. And add the Ranch seasoning. Place the lid on the slow cooker and turn on High for 30 minutes to allow the cream cheese and gravy to blend together. Of course you don't HAVE to do this, but if you have time it is a good idea. After 30 minutes whisk out any lumps and taste for seasoning. Add the chicken to the slow-cooker. I don't know if you can tel this or not, but my chicken is frozen. Place the lid on the slow-cooker. Turn it to high for 4 hours or Low for 8. When it is finished cooking it will look a little something like this. Remove the chicken from the slow-cooker. Then return it to the sauce. Tomie likes to serve this to her family over rice, but I think it would be delicious over some mashed potatoes too. Top with the shredded cheddar, bacon bits, a little green onion and there you go! 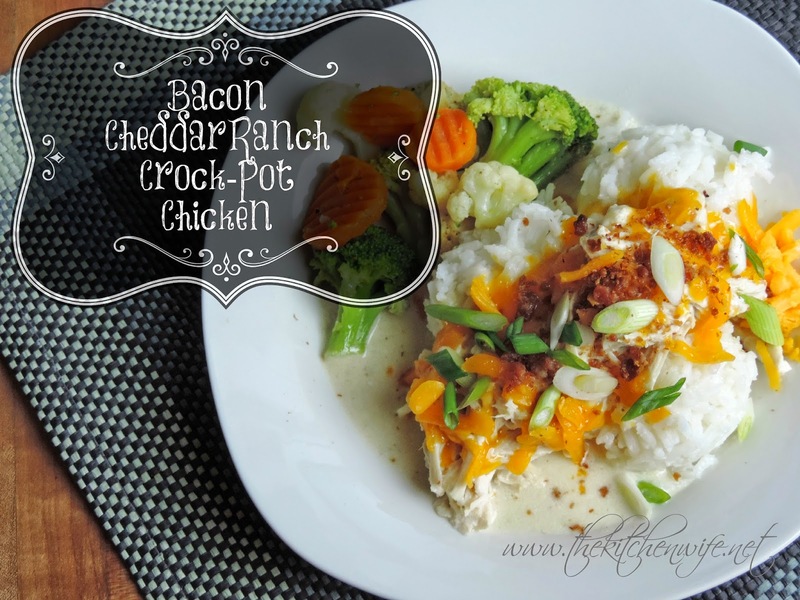 Delicious Bacon Cheddar Ranch Crock-Pot Chicken! The flavor to this is OUT-OF-THIS-WORLD and I know this will frequent your monthly menu A LOT! So give it a try tonight! You won't regret it!! Place a sauce pot over medium high heat and add a half a stick of butter. Pour the gravy or cream of chicken soup over the cream cheese. Shred it and return to the slow-cooker. Top with Cheddar cheese and real bacon bits.